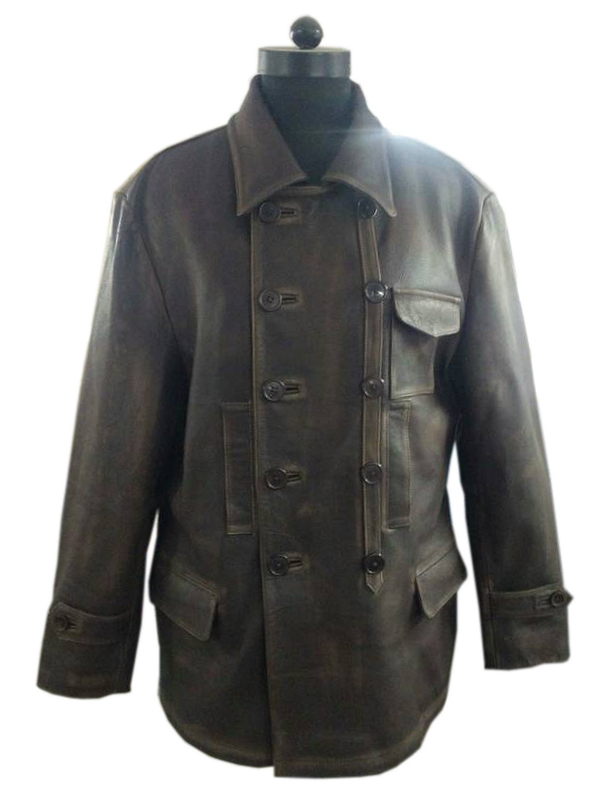 Named for the top Russian flying ace of World War I, the Kazakov Leather Jacket is a typical early-20th century flying coat. 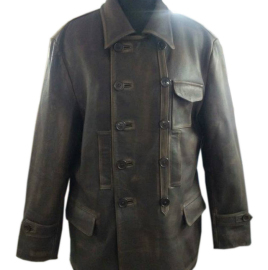 The double-breasted front closure features five pockets; two hand-warmer pockets, one flapped breast pocket and two lower flapped pockets. 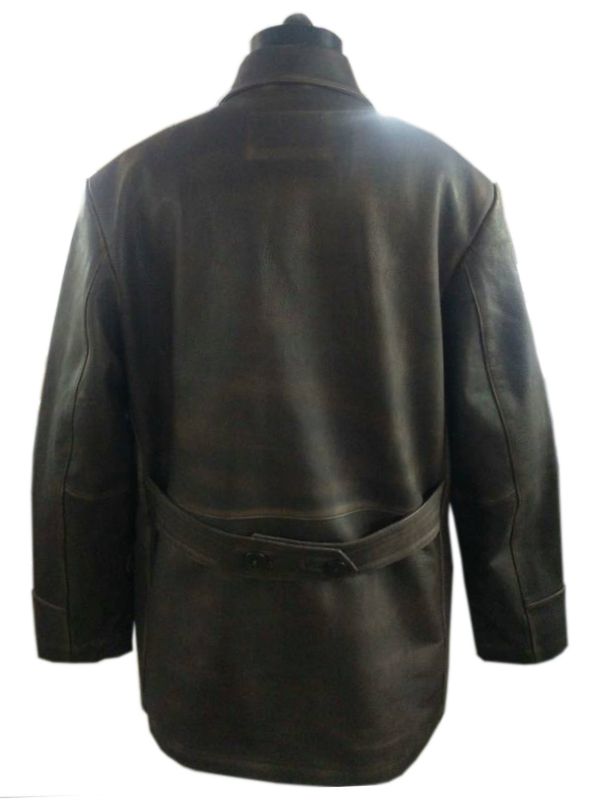 The back of the jacket is plain with a double-button half-belt. 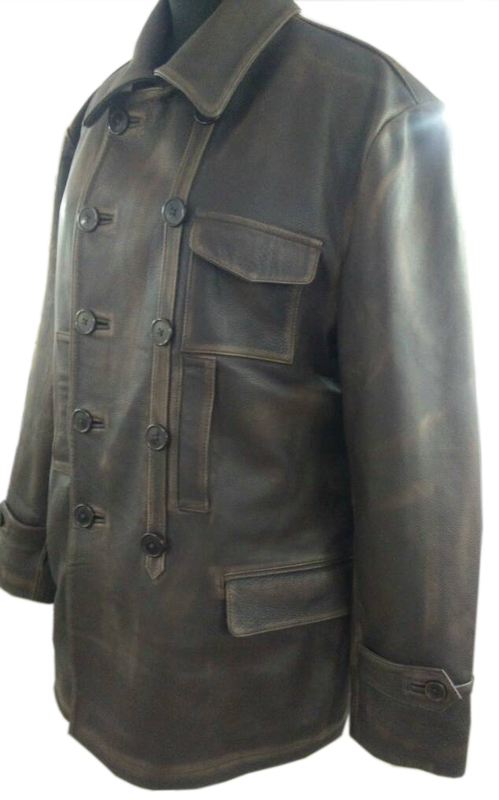 Fully lined in cotton (a heavy drill tan cotton for the body and lighter striped cotton for the sleeves) with interior pockets.